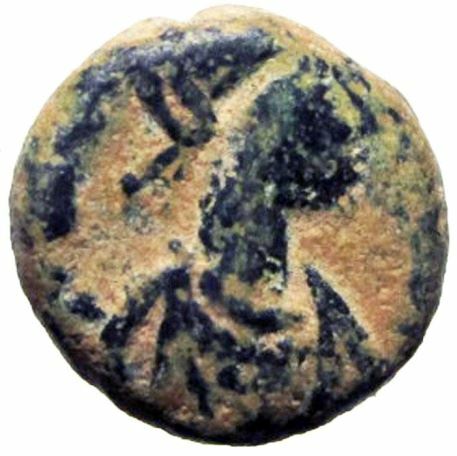 Aelia Zenonis was the Empress consort of Basiliscus of the eastern Roman Empire. Zenonis was declared an Augusta immediately following the successful coup d'état. Marcus, eldest son of the new imperial couple, was declared first a Caesar and afterwards an Augustus, co-ruler of his father. When Basiliscus was deposed in 476 AD, Zenonis and their son Marcus were sent to a fortress in Cappadocia where Zeno had them enclosed in a dry cistern, to die from exposure. Only a handful of coins of Zenonis have survived, and naturally they are greatly prized (and never on the open market).